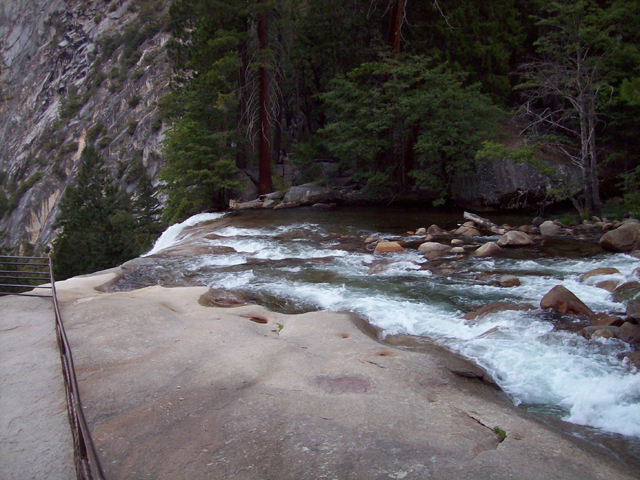 The second stage of our 2009 vacation was a few nights in Yosemite. 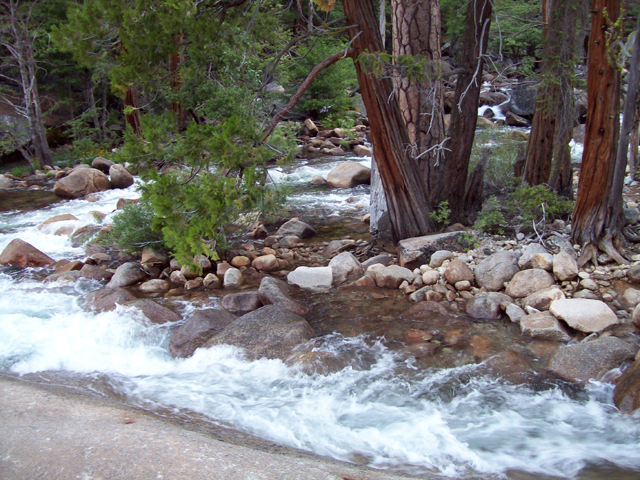 We camped in one of the campsites the first night in the park. 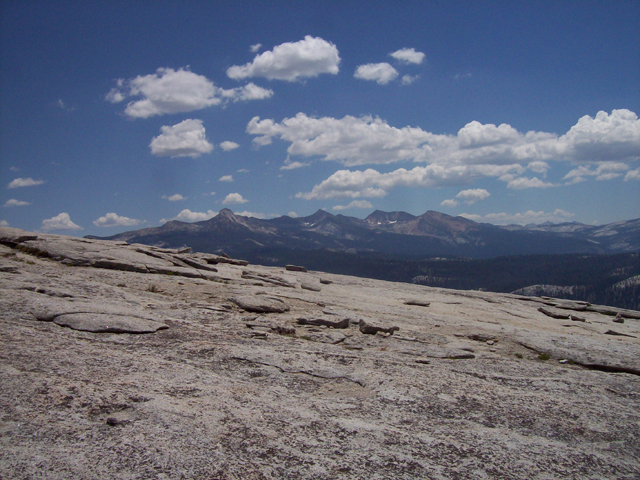 The next morning we did a hike to the sequoia grove and then a couple of hikes at altitude (sentinal dome and Taft point) to get accostomed to the "air". 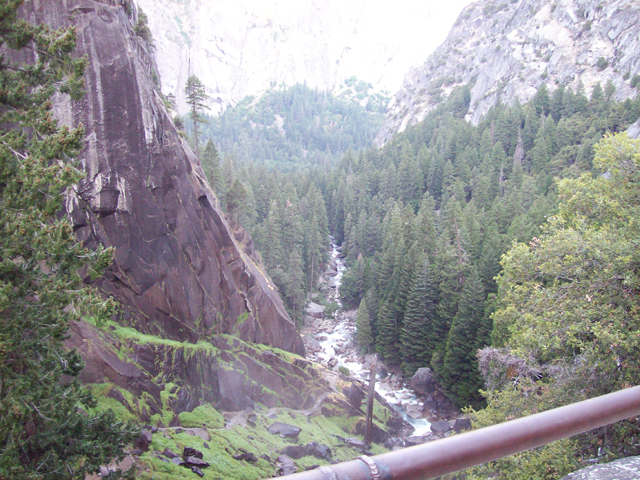 We stayed 3 nights in Curry Village in the platform tents. 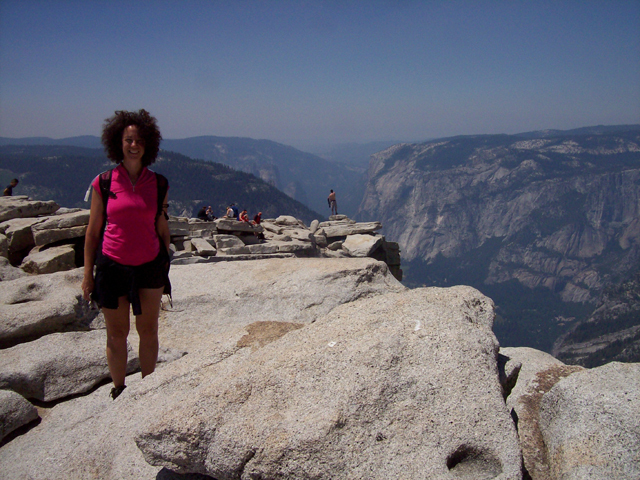 We hiked to the top of the Upper Yosemite Falls and on to Yosemite Point overlooking the valley. Next day we got up at 4:30 and was on the trail to Half Dome by 5:30. After spending almost 13 hours on trail, we were finally back to the car and camp. 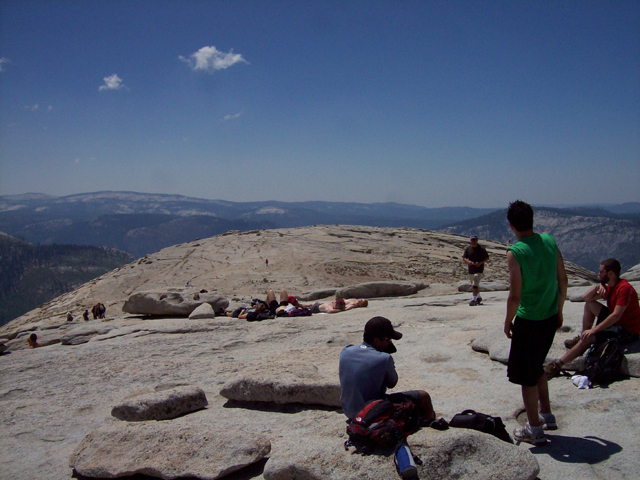 The last day we were planning to do another hike, but we were so bushed after Half Dome we slept in and needed to move on to Sequoia. I was able to benchmark the first few days in the park, but was so tired for the rest of the stay that I didn't do much. 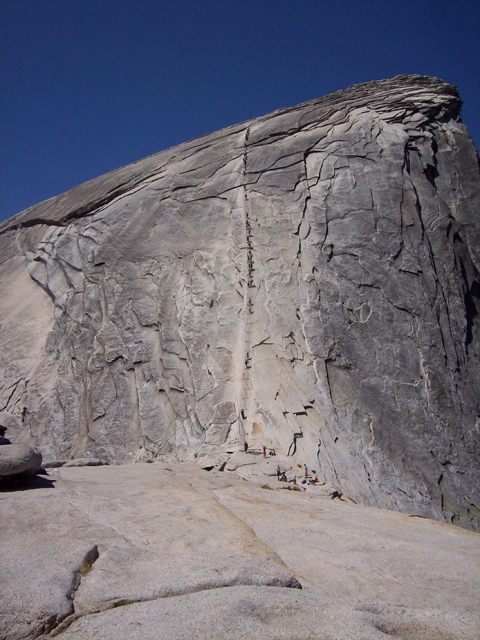 This image repository contains images from our Half Dome hike. 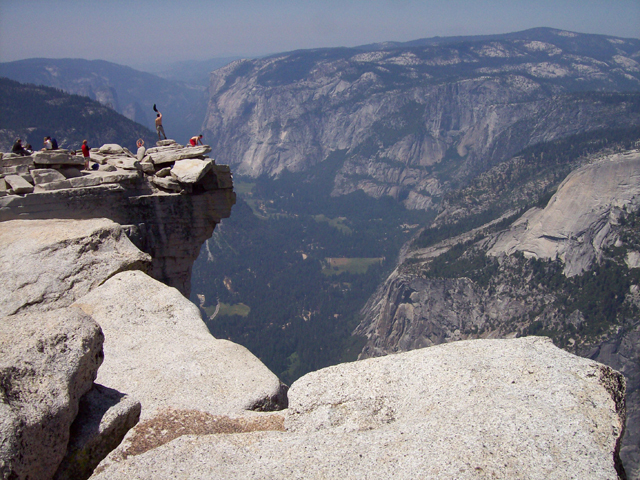 For images from the rest of our Yosemite stay, check out Part 1 for those images. View east down the valley from the top of Vernal Fall. 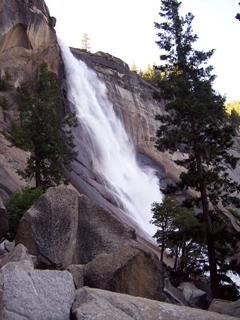 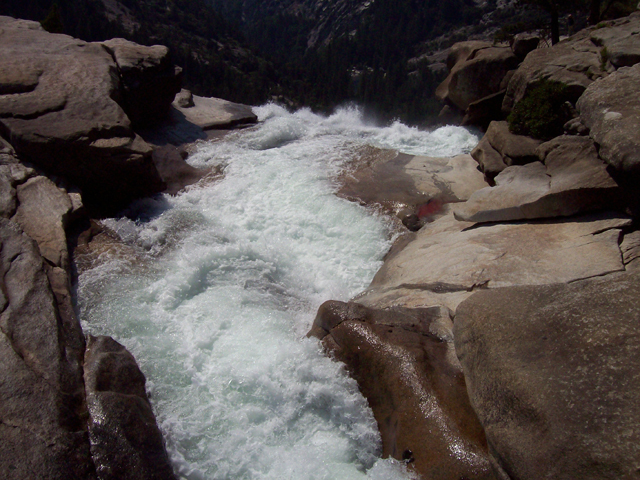 View of the top of Vernal Fall. Trees in the middle of the Merced River at the top of Vernal Fall. 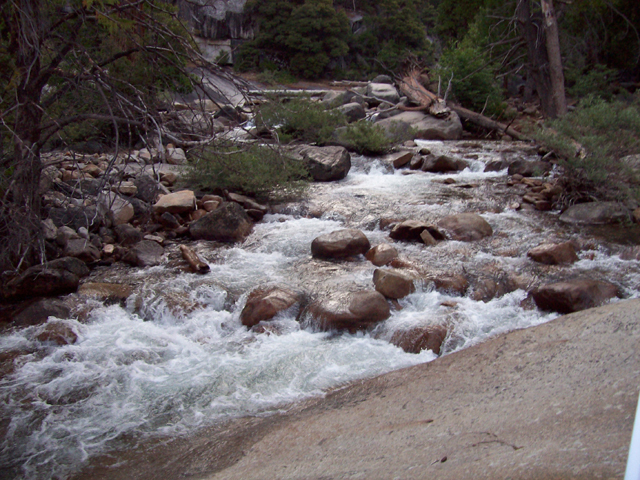 View looking upstream of the Merced River near the top of Vernal Fall. View of Nevada Fall from below along the Mist Trail. View of Half Dome from behind along the Half Dome Trail. 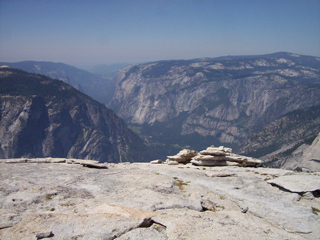 View of Half Dome and the cables to the top from atop Sub Dome. View of the cables to the top of Half Dome from the bottom. 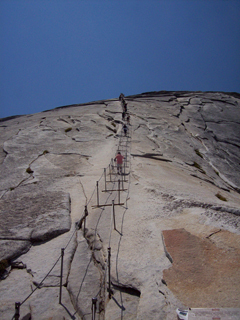 Only 400 feet to go. 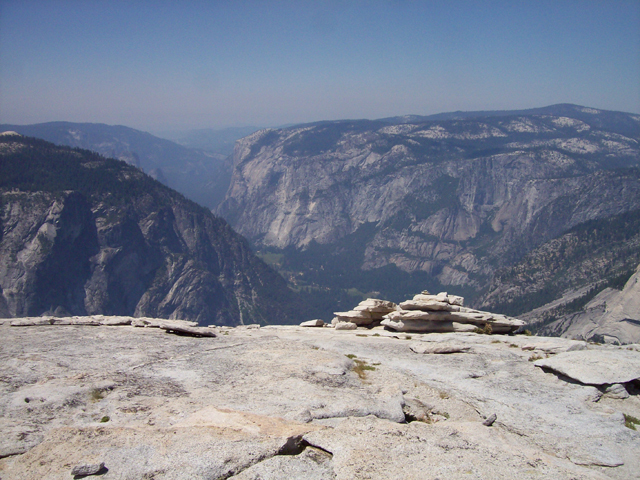 Looking down on Yosemite Valley from the western hump of Half Dome. 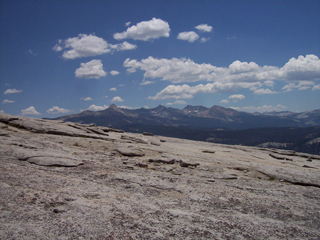 Looking south from atop Half Dome. 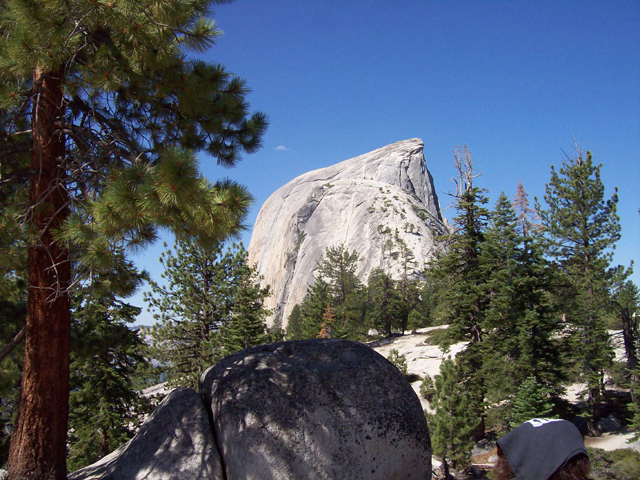 View of the western hump of Half Dome from the eastern hump. Picture of Anne on top of Half Dome taken on the eastern hump looking west at Yosemite Valley. 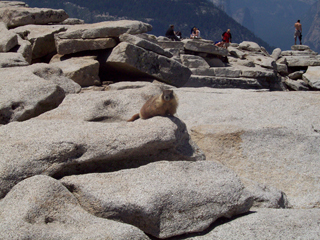 A yellow-bellied marmot hanging out on top of Half Dome. View of Yosemite Valley below and an overhanging rock, part of the eastern hump, atop of Half Dome. 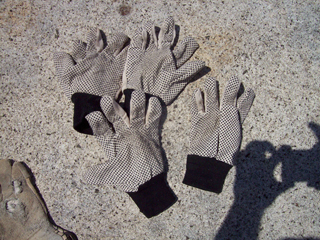 Picture of the gloves we bought and brought with us for climbing Half Dome. We left them as a contribution to the pile of gloves already there. 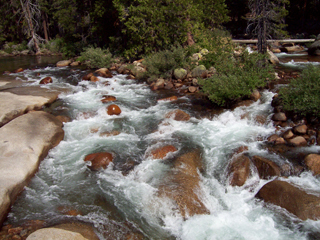 View upstream of the Merced River from the bridge crossing above Nevada Fall. 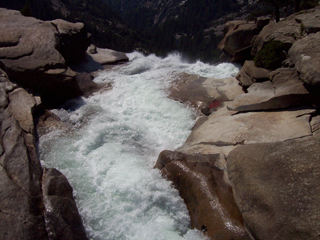 View of the Merced River at the top of Nevada Fall. 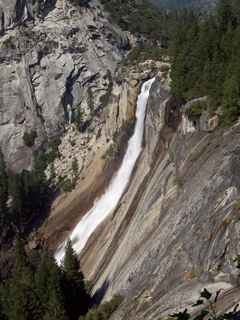 View from above of Nevada Fall from the historic John Muir Trail.